Are you committed to teaching youth positive life skills, values, and an ethic of service? If you are, a career at the YMCA might be for you. The YMCA is a great place to work. As a nonprofit, mission based organization, our work environment is built around teamwork, community, and our four core values of caring, honesty, respect and responsibility. We are committed to providing our employees with the tools they need to succeed. 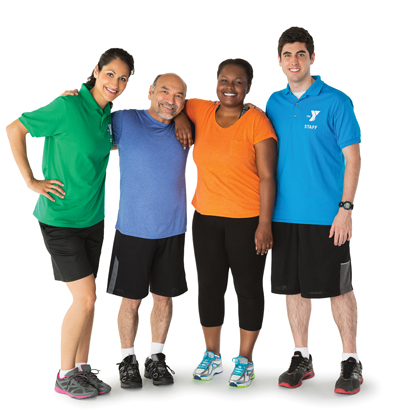 The YMCA offers both full-time and part-time career opportunities. If you live enthusiastically and care deeply about others, we’d like to hear from you! If applying for a part-time position, please print out and complete an employment application form. If applying for a full-time exempt position, please see corresponding information for each opening regarding resume requirements. An employment application is required along with your resume. Contact the YMCA if you need assistance with the application process. In order for your application to be considered, it must be completely filled out, signed, and dated. Please use N/A when a question is not applicable. Thank you for interest in employment with the YMCA of the Greater Tri-Cities. The School-Age Child Care (SACC) program provides elementary school children with a safe and fun place to be, before and after school. We operate in the Gyms and cafeterias of 12 Kennewick elementary schools. On a typical week we provide care on M,T,TH,F from 6:30am-8:30am & 3:00pm-6:00pm and on Wednesdays from 6:30am-8:30am & 1:45pm-6:00pm. We also provide care on half days and no school days (excluding national holidays). Please complete and turn in an application and resume to be considered for this position. We are looking for applicants who are interested in being a sub/on-call for both of these positions as well. Principal activities: Assist in the supervision of programs for preschool children, provide assistance in planning and implementation of the daily program, assists in maintaining a clean, safe environment. Attends staff meeting and trainings as required. Follows YMCA policies and procedures, including those related to medical and disciplinary situations, child abuse prevention and emergency procedures. Qualifications: Interest and ability to work with preschool children. For the Preschool Teacher position contact the YMCA Early Childhood Learning Center by emailing Tracie Wansor-Hawkins at tracie@ymcatricities.org or calling (509) 374-1908 ext.115. Our YMCA offers youth sports for ages 3-10 in flag football, basketball, baseball and soccer. Each of our leagues run for 7 weeks and play on weeknights and weekends at schools and parks. Over 3,300 youth learn skills and develop character and sportsmanship in our youth sports leagues. Y Sports give youth a great opportunity to grow, develop, make friends, and have fun. To set up and maintain the fields and gym facilities in accordance with facility guidelines and supervise the youth sports activity within YMCA guidelines. Please complete and turn in an application to be considered for this position. Stay informed of what is happening at our YMCA and community as well as letting you know of upcoming events.